Outsourcing printing for large-format documents can be costly and time consuming. Copy World Business Solutions understands how important it is to keep your business running at top speed. Whether you are in a design industry or simply have a full-fledge in-house marketing team, wide-format printers enable you to save money by eliminating the need for an external print shop. 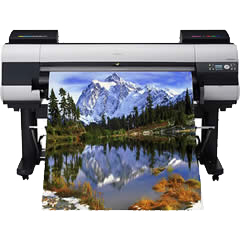 Wide-format devices (also known as “Plotters”) produce professional quality sheets of paper up to 36 inches in width and 472 inches in length. If your organization prints a great number of posters, blueprints, maps, or other large-format documents, a wide-format device from Copy World Business Solutions makes sense, especially if the alternative is sending your jobs out to print shops.